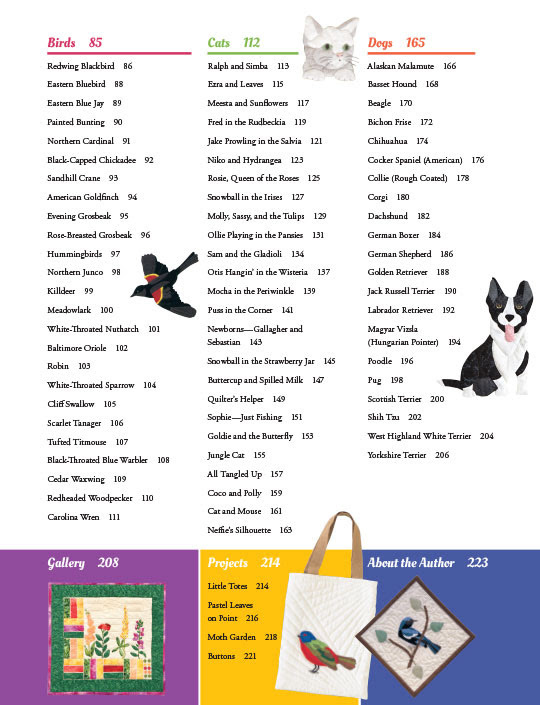 There are two books coming out this month that I believe are perfect for not only your own amusement, but also for doing projects with children or grandchildren! I am very excited about both of them. I haven't yet been able to get my grands hooked on fabric art (they do like to draw and paint though), but I can see myself just casually working on a cute little project when I'm with them, and letting nature take its course! The first one is up today, and I'll hit the second tomorrow. 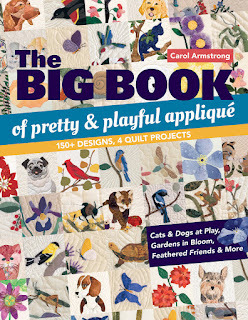 The Big Book of Pretty + Playful Applique by Carol Armstrong looks like a must-have to me. It has ONE HUNDRED AND SIXTY TWO of Carol's gorgeous, realistic designs. There are four full projects included to help you practice doing these appliques, but I don't care so much about that as I do about the incredible number and quality of the applique patterns. Just look at the lists below and you'll see what I mean. 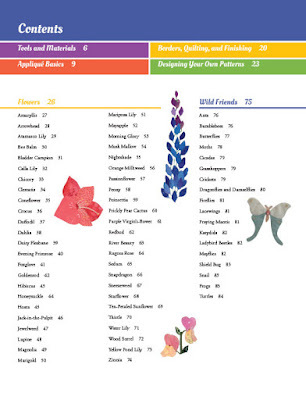 Click on the pictures to get a larger image that you can read through. You'll learn how to use a light box properly, to plan and number your pieces, to needle-turn the edges, to alter the patterns to suit yourself, and how to add details that will make your pieces come to life (like the eyes). If you are like me, and prefer to do raw-edge applique, the patterns will work for you too. 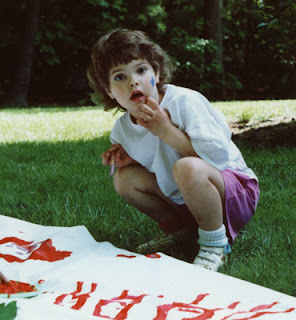 Same goes if you like embroidery, crewel embroidery, or even drawing and painting!